During the 22 day Silent Siege last May, while praying in silence in front of a Planned Parenthood Abortion Clinic here in Kansas City, I began to dream about doing a Silent Siege in my hometown, Lufkin, TX. As I stood in front of that clinic in Kansas City that is responsible for the deaths of 30-50 babies a day, I dreaded the thought of such a clinic being in my city. 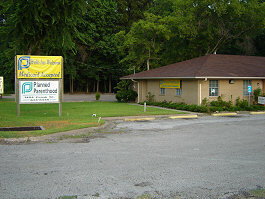 Though the clinic in Lufkin does not yet practice abortions, they refer people to clinics in Houston. The clinic is actively expanding their services, and it is very likely, if unchecked, that they will expand those services to include abortion. I told the Lord, “It is not okay with me for there to be an abortion clinic in my city!” I feel as if I am to take this battle for LIFE to my home town. As I began to tell my good friend, Tom Boggs, my thoughts he began talking with Bound4Life and The Cause USA. These are the ministries that stood in silent prayer with Terri Schiavo in Florida and continue to stand in prayer in front of the Supreme Court. He told them of our thoughts to have a Silent Siege in Lufkin. Bound4Life has agreed to send a team August 1st-5th to fight this battle for LIFE with the church of Lufkin. We have a vision to call the pastors, the businessmen, and others to fast th eir lunch break and stand for the unborn from 12-2 pm. We are partnering with Lufkin for Life, a pro-life organization that has already been active in the city. We feel like this battle for LIFE will only turn through united prayer and fasting in this city. Earlier this week I was researching abortion. 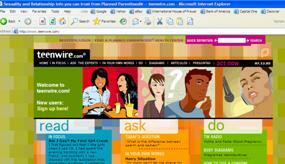 I stumbled upon one of Planned Parenthood’s web sites targeted at teenagers, teenwire.com. I was shocked as I read the latest headline on the web site, “Am I Gay? My First Girl Crush”. Not only is this organization responsible for the deaths of hundreds of thousands of babies a year, but they are also targeting teens in high schools all over America including our own, LufkinHigh School. I am praying for a moral outcry to arise in the church of Lufkin over this wickedness. Finally, I want to invite you. Most who receive this newsletter live in the Lufkin area. 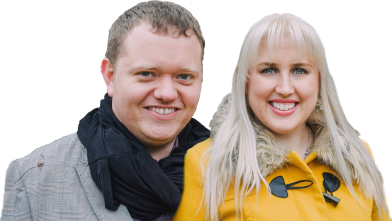 You have so faithfully supported this ministry of prayer that God has called me to. I invite you to join me in prayer in front of our own Planned Parenthood clinic Monday, August 1st-Friday, August 5th from 12-2 pm. I know that we must take our stand in the place of prayer for these little ones, to see our nation turn back to God. I also need lots of help in spreading the word. This battle for LIFE and holiness among our youth will only turn when we as the church of Lufkin take our stand in prayer and fasting! Thank you again for your continued prayer and support.